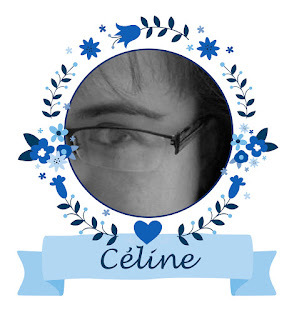 Céline's here to share a new card with you. 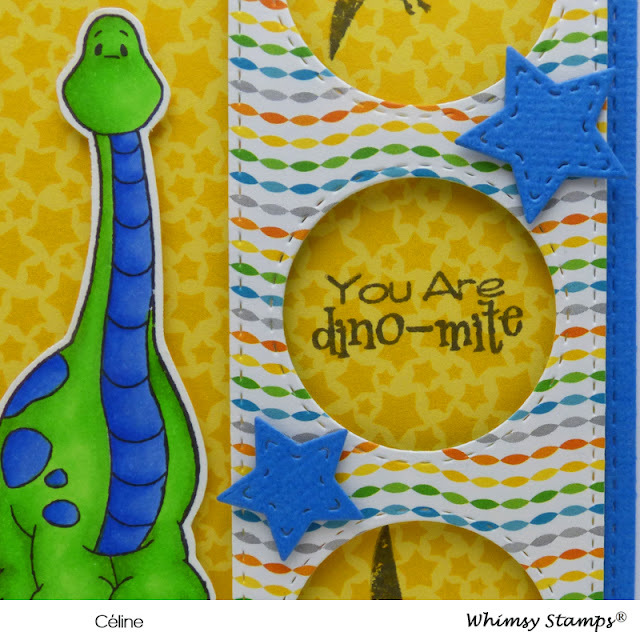 I know a girl ( dino fan ) who will sure love this cute dinaosaur stamp !!! I cut my stripes paper with the window dies. I added 3D foam on my stripes paper and glued it on my stars papers. Then I glued my dinosaur on the rectangle window. 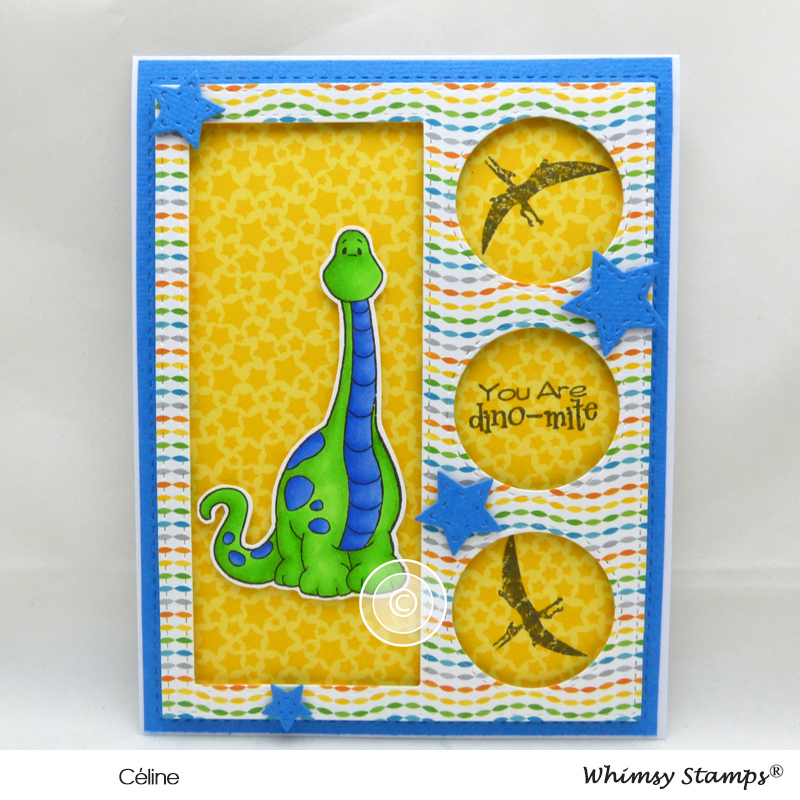 Then I glued my "dinosaur" part inside of the blue window. I added some stars die cuts and glued them here and there.